Who came up with the idea of using nativity scenes to celebrate Christmas? Many might be surprised to learn that Francis of Assisi, the well-known thirteenth-century saint, is credited with creating the first nativity scene. The Living Nativity introduces readers to Saint Francis and his joyous reenactment of the birth of Jesus, complete with a manger and animals. 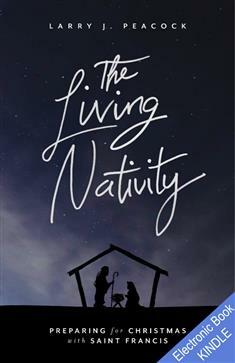 The Living Nativity explores how nativity sets, Advent wreaths, candles, carols, Christmas cards, and other traditions help prepare our hearts for the God "who bends low to enter our world and our lives." Prayer poems for each day of the season lead readers to deepen their spiritual journey, and the book provides a guided pattern for individuals and small groups to share reflections and experience activities that open their hearts to the Christ child. The Living Nativity provides a prayer, meditation, and reflection questions for each day of Advent. The Leader's Guide includes suggestions for worship, discussion questions focused on the readings, and guidance for a mini-retreat on a theme of the week.